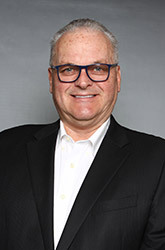 Michael Hyde & Associates | Real Estate Professionals Inc.
From his personal to his professional endeavors, Michael Hyde made a life out of seeking out and experiencing new opportunities. As a highly successful real estate agent, he puts this same steadfast dedication to work in helping his clients buy or sell a home. From consultation to close Michael treats the goals of his clients as if they're his own and doesn't rest until he's fond exactly what they're looking for. For Michael, a successful transaction doesn't begin and end with providing his clients with the sound advice they need to make a smart investment. It's about working with them through every step to alleviate confusion, zero in on the best options and ensuring their best interests are protected. When it comes to something as important as your home, it pays to have a professional who is Helping You Explore Your Opportunities. That's Michael Hyde. Call him today for a complimentary consultation.